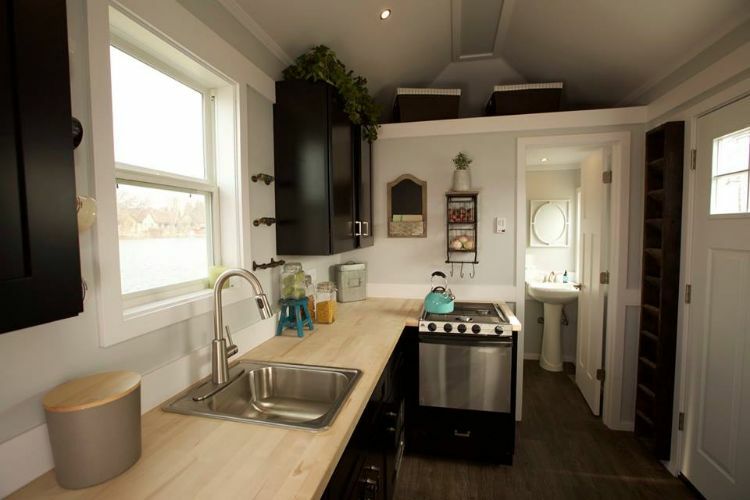 Titan Tiny Homes out of South Elgin, Ill., offers options for their current models of tiny houses, including two types of roofs, the types of finish on their door knobs and whether or not you want a tub along with the shower in the bathroom. 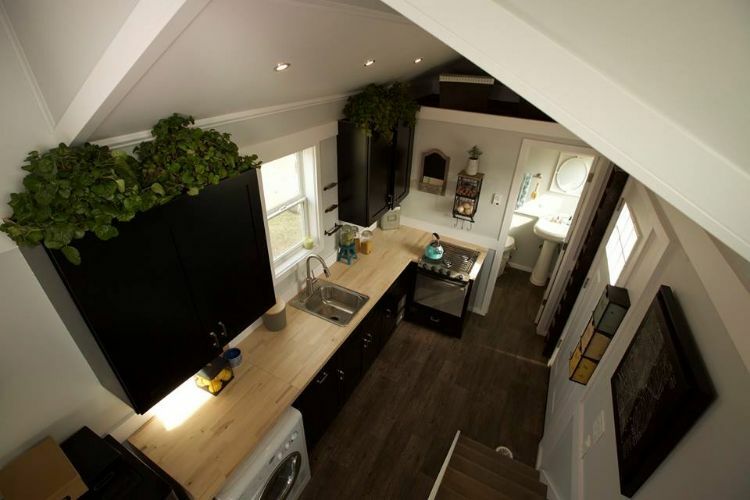 However, their tiny homes are actually extraordinarily light. 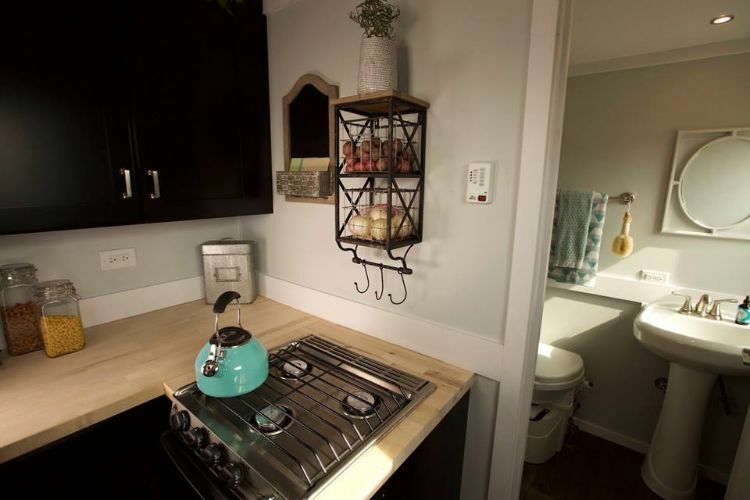 Recently, the company "pulled out (their) scales and weighed the metal studs," realizing that they are basically the same weight as a wood stud, they told Smaller Living. "The difference was that the metal is definitely stronger and will hold up well under multiple moves." 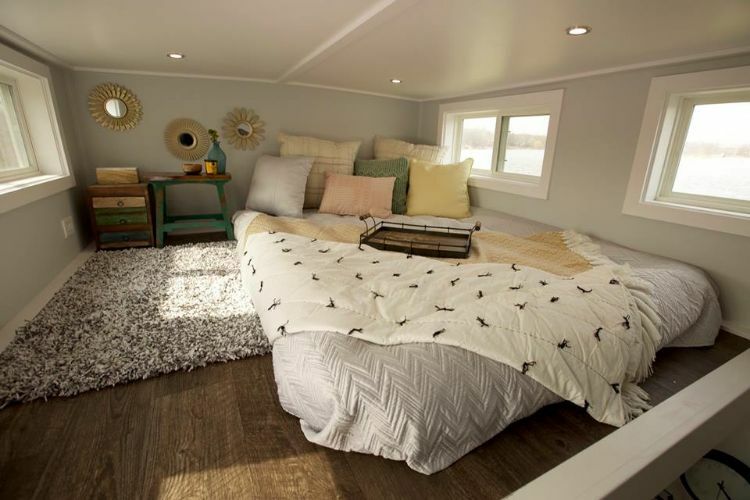 This Titan Tiny Homes model is called the Notarosa. 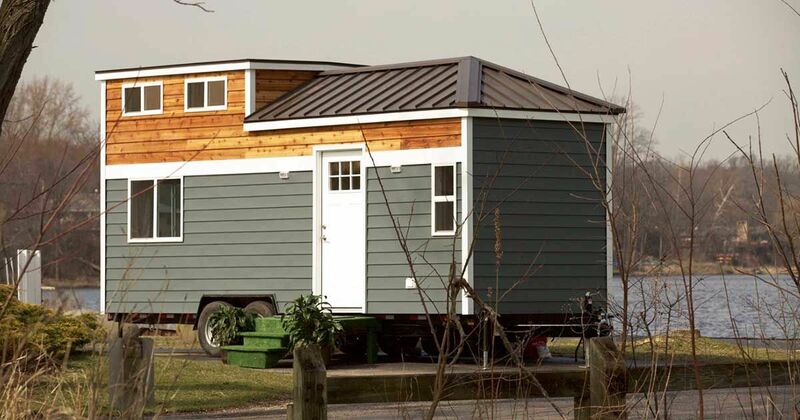 It is available in two lengths -- 24-feet and 28-feet -- and features two-tone steel siding that shows off a titanic dormer -- hopefully one that won't hit an iceberg -- that adds tons of room to the upstairs sleeping loft. Let's check it out. This dizzying view from the sleeping loft shows the lay of the land, so to speak. The front door is on the right. That vertical row of boxes on the right-hand wall are cleverly deployed milk cartons used for storage. The bathroom, obviously, is just beyond the kitchen. Not the first thing that pops into view, this shot gives a great impression of the two indoor window boxes, which are just above each of the black wall cabinets on the left. This view, from ground level, shows the other side of the house beyond the kitchen. The refrigerator/freezer is the chrome item in the foreground on the right. A close up of a true hodgepodge of useful wall hangings. 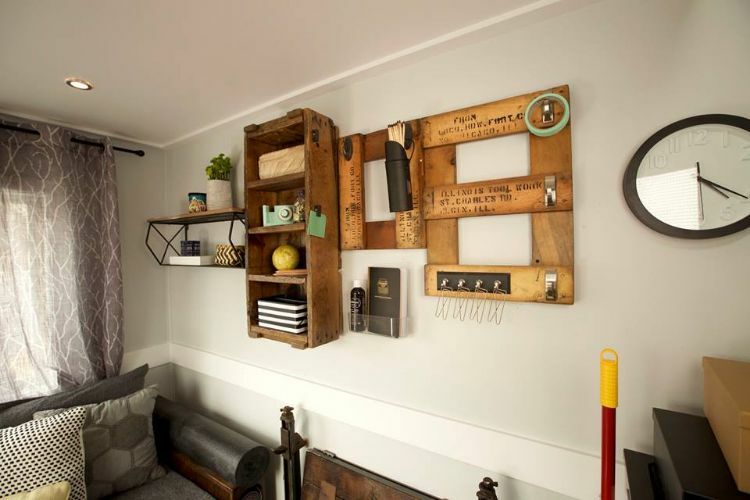 A shipping crate turned into a set of shelves and what looks like the bottom of a hand truck closest to the clock. 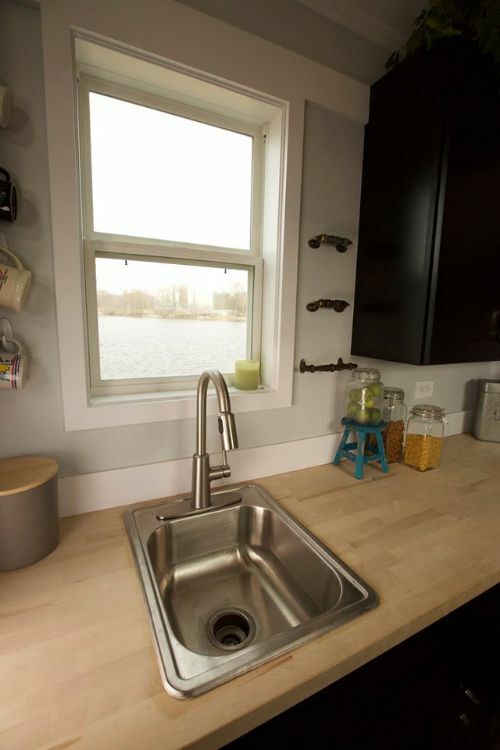 Anything that works -- this shows that utility has its own beauty. That's a three-burner propane stove. Who uses four burners at once, anyway? That's a one meal at a time sink. 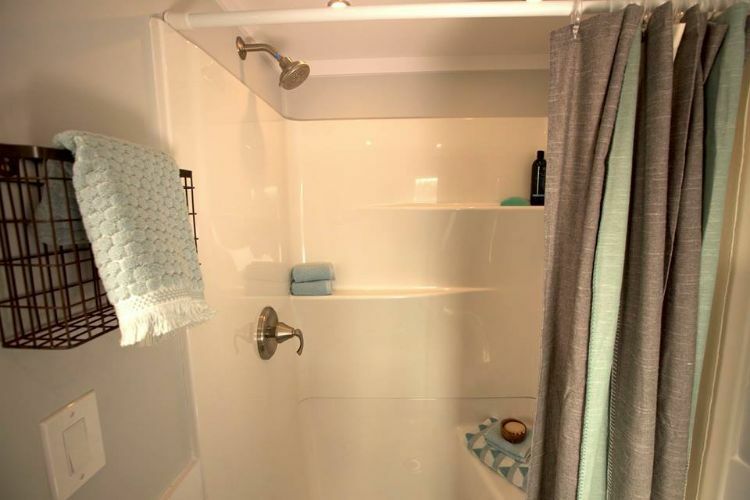 The home comes with an option to include a full shower or one with a tub. This looks like the option without the tub. 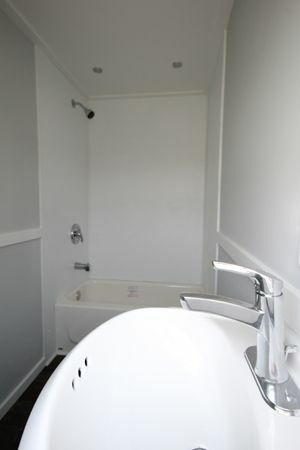 Here's the option with the tub included. 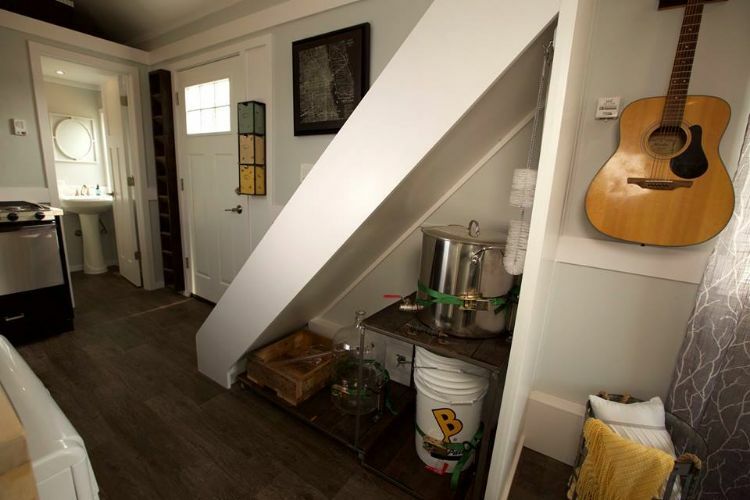 This is a great set of stairs for a tiny house. The recessed space custom fit for milk-carton storage is very clever. 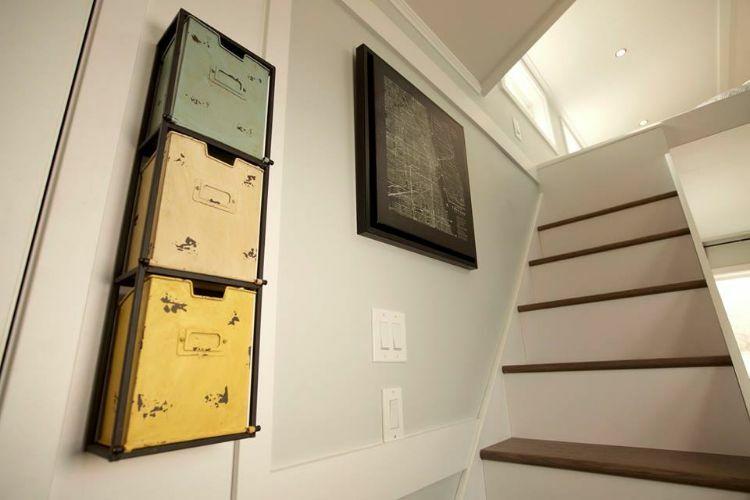 Of course, there's more storage under the stairs. This is a terrific selling point. With this shot, it's easy to see that the shallow angle of the ceiling is what allows this loft to be so roomy. This is, obviously, the dormer end of the Notarosa. For a Zyl Vardos project, the Dewdrop is simple, with few of the zany frills built into their other designs. 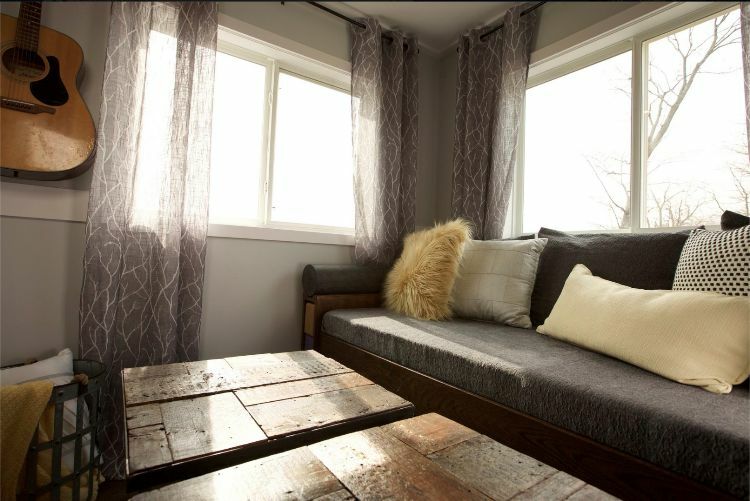 But it has that adorable coziness that is the trademark of a Zyl Vardos creation. Simple, even plain, from the outside, this micro-shelter really shines on the inside. 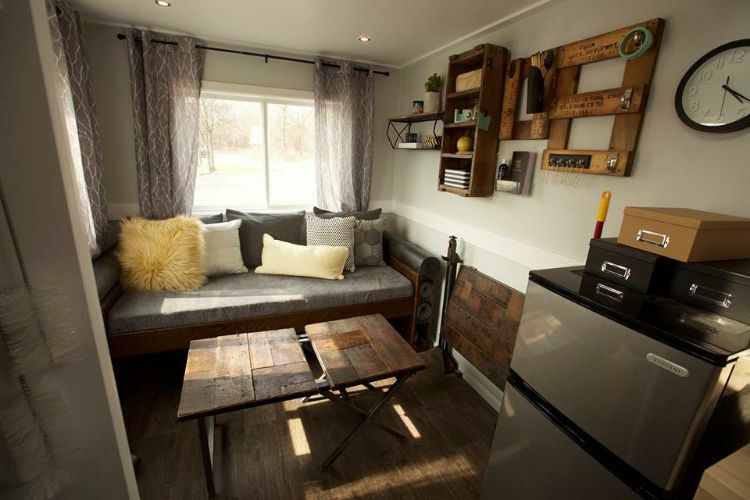 At a glance, this is an handsome enough tiny house, but as you explore each feature, you begin to feel right at home.